This approach treats Scripture as the inspired and veracious Word of God, but contends that we do Scripture the greatest service when we commit ourselves to studying it in light of the context and processes through which God gave it to us. Scripture is trustworthy because of God’s faithfulness to his own Word and authoritative because the Holy Spirit speaks to us through it. Nonetheless, God has seen fit to use human language, human authors, and even human processes as the means by which he has given his inscripturated revelation to humanity. To understand the substance of Scripture means wrestling with its humanity, the human face of God’s speech to us in his Word. That requires that we can freely engage subjects such as how the text of the Gospels was transmitted (text criticism), sources that the Evangelists used (source criticism), when and where were the Gospels written (historical criticism), why the Gospels were written (literary criticism), what kind of literature they are (genre criticism), how the Evangelists edited and adapted their sources (redaction criticism), how the story in its current shape creates meaning (narrative criticism), how the stories of Jesus interacted with cultural values and modes of discourse (social-scientific criticism), and how the Gospels came to be accepted as the four official stories of Jesus sanctioned by the early churches (canonical criticism). These are legitimate inquiries, not in spite of but precisely in light of the faith communities who cherished the Gospels as testimonies to Jesus Christ. What is more, when we say that the Gospels are historically reliable, we do not mean that they were intended to be judged by the standards of modern historiography or that they are the ancient equivalent of what it would have been like to follow Jesus around with a hidden video camera. They are historically rooted in the memories of the earliest eyewitnesses. Even if ancient writers did not have the apparatus of modern history writing — footnotes, plagiarism software, video footage, and editorial boards — they still knew the difference between events purported to have happened that did not happen and events purported to have happened that did happen. St. Luke, the Beloved Disciple, and the author of 2 Peter all believed that the Jesus-story is not make-believe (Luke 1:1-4; John 19:35; 20:31; 2 Pet 1:16). 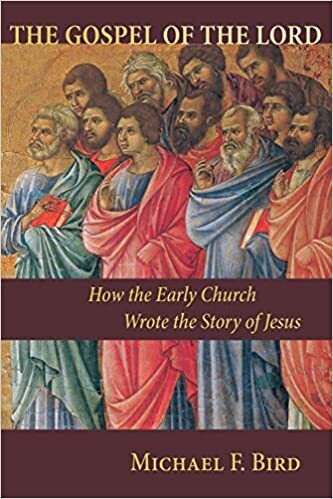 After due allowances are made for artistic license, theological embellishment, and the inherent biases of the tradents of the tradition, our witnesses to Jesus remain steadfast in their conviction that the Jesus whom they narrate is historically authentic as much as he is personally confronting. All four canonical narratives render accounts about Jesus as a historical figure situated in first-century Palestine. The Gospels are not timeless myths or deliberate fictions spun for the purpose of spiritual nourishment. They make thick historical claims, though they are not merely historical reports. Let us remember, too, that all history, both ancient and modern, is interpreted. There is no unbiased reporting or purely objective history, whether by St. Matthew, Oxford University Press, or the New York Times. As such, the Gospels are not interested in brute facts about Jesus but in the unity between Jesus of Nazareth and the Lord worshiped in the church. The Gospels are unashamedly theologically oriented, to the point that “The story of Jesus is the continuation and actualization of the story of God.”159 As works of proclamation, the Gospels endeavor to present and interpret the story of Jesus in such a way that readers (and hearers) of the story will be moved to acknowledge him as the Son of God, the Lord Jesus, whose death and resurrection are the definitive means through which the God of Israel is rescuing the world.”- Michael Bird, The Gospel of the Lord: How the Early Church Wrote the Story of Jesus, pgs. 67-68.